Make more of your lightweight, overnight hikes or winter walks. 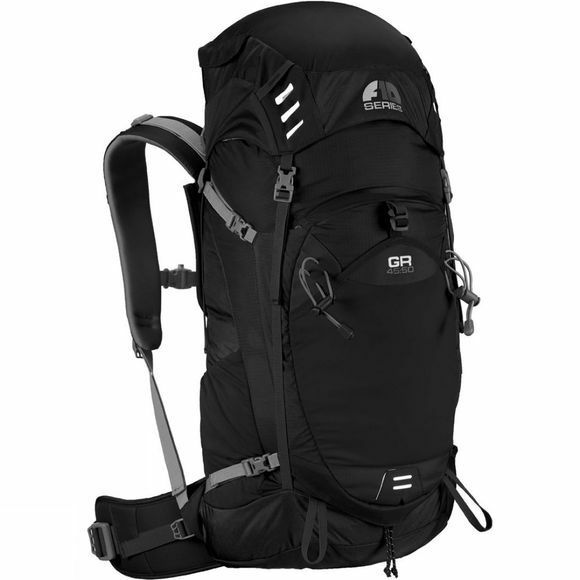 The F10 GR 45:50 Rucksack from Vango has been designed to combine the simplicity of a climbing pack, with the functionality of a more sophisticated trekking rucksack. Constructed in a lightweight ripstop nylon with an adjustable back system, F10 GR 45:50 Rucksack from Vango also features a clam shell front, for easier access to items in the body of the pack.